IDSA was set up in 1965 by the Ministry of Defence as an autonomous think tank, and it is customary to have the Defence Minister as its President. 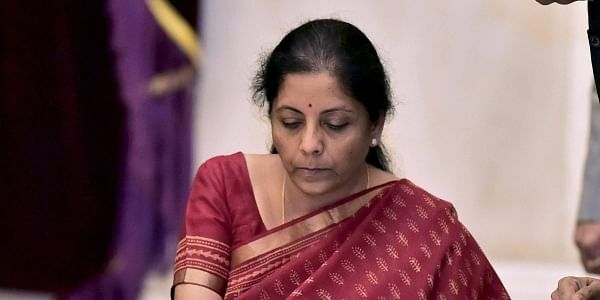 NEW DELHI: Defence Minister Nirmala Sitharaman has been elected President of the Institute for Defence Studies and Analysis (IDSA). IDSA was set up in 1965 by the Ministry of Defence as an autonomous think tank, and it is customary to have the Defence Minister as its President. The Minister chairs the Executive Council which governs the Institute. Sitharaman's election, held November 23, was unanimous. The Executive Council includes Prof Charan Dass Wadhwa, Air Marshal M. Matheswaran, G.K. Pillai, Lt. Gen. Prakash Menon, Ambassador Swashpawan Singh, Gulshan Luthra and Vice Admiral Anup Singh. Foreign Secretary S Jaishankar, Defence Secretary Sanjay Mitra, Director General Jayant Prasad and Deputy Director General Maj. Gen. Alok Deb are ex-officio members. The staff representative in the Council is Ashok K. Behuria. The previous Defence Minister, Manohar Parrikar, had resigned from the post after shifting to Goa as Chief Minister. IDSA is funded by the Ministry of Defence and its faculty conducts research in military, foreign and strategic affairs. Significantly, the Government has sought its views before taking major policy initiatives, like conducting nuclear tests, as in 1974 and 1998. IDSA also executes specific assignments from the Ministry of External Affairs.